Flagstaff Point (Wollongong Head) | Lighthouses of Australia Inc.
Wollongong Harbour is the only point on the eastern coast of Australia which has two lighthouses. Located on Flagstaff Point the newer lighthouse on Wollongong Head assists the passage of vessels into Port Kembla. Completed in 1936, by the Department of Shipping and Transport, it was the first new lighthouse in New South Wales since 1903. 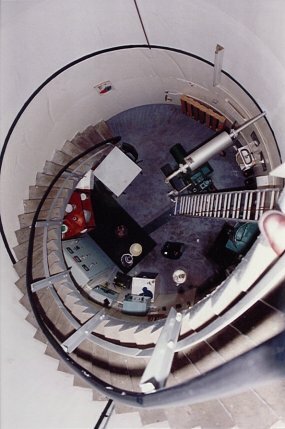 The tower is constructed of reinforced concrete and replaced several earlier lights. The structure cost £6,800 ($13,600) with plant and equipment £2,607 ($5,214). It was the first fully automatic flashing light to be installed in New South Wales. 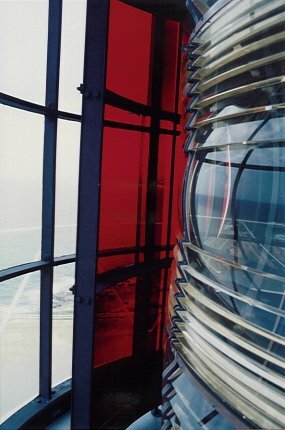 The original light apparatus was found to be faulty so a temporary acetylene gas light was employed until the replacement arrived in October 1938. The light is bi-coloured. A white light of 4.5 second duration visible through 100 degrees, and a red Light visible through 80 degrees. This latter indicating reefs and headlands. It was built to serve as a coastal light and particularly for ships entering Port Kembla, to the south of Flagstaff Point. 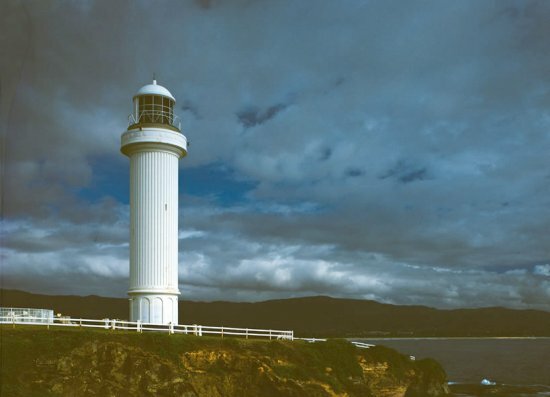 Up until now the only aid had been the old Wollongong Breakwater Lighthouse situated on the Belmore Basin to the north. The Breakwater light was discontinued in 1974. This light was never manned. When necessary it was attended to by the Harbour Master. The lighthouse grounds are open at all times. There is no access to the tower.